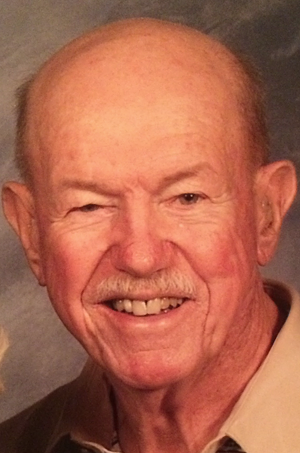 Robert Clark Lanzer died peacefully on January 28,2015 at the Levin-Dickson Hospice House in Huntersville, NC. He was born on May 20, 1927-a very famous day in aviation history-the day Charles Lindbergh flew over the Atlantic Ocean. He had a wonderful childhood in Sugarcreek, Ohio setting traps to catch minks, playing football and basketball in high school and working in the brickyards. He enlisted in the Navy where he hoped to serve on a submarine crew. Due to his color-blindness, he was forced to spend his time on land in Washington state and California as a Pharmacist mate/corpsman. Upon his discharge, he decided to go to Bowling Green University and study Chemistry but was urged to pursue a medical degree. He was accepted at the University of Cincinnati where he met his wife of 58 years, Karen who was in the nursing program. After the death of their first son at the age of one month, Robert decided on Pediatrics as his specialty. Having s pent time in New Hampshire at Karen's family cottage on Lake Winnipesaukee, he fell in love with the state and moved to Claremont, NH to set up his practice. It was here that they raised their family of 3 children, Erik, Becky and Andrew. For many years, his office was in the back of their home keeping him close to his family. He loved NH and their cottage at the lake. Summers were spent boating, fishing, cooking hamburgers on the grill, playing Bingo ( he was always the caller), hiking and sitting on the porch. He loved winter in NH as well, skiing, snowmobiling and snowshoeing. Dr. Bob loved being a pediatrician and was well respected in the community taking care of 2 generations of children. He retired at age 70 moving to Kure Beach, NC to spend the winters and migrating up to NH for the summers. It was the best of both worlds. Karen and Bob spent their retirement traveling (they loved Sanibel Florida), playing bridge, book and camera clubs (he loved photography and produced a bounty of slides that we will have to go through), entertaining friends, exploring gourmet restaurants and spending time with family. In September 2013, they moved to Shad's Landing (the Shad Pad) in Charlotte, NC to be close to family. He lost his wife on January 5, 2014. But, he found love again with a member of the Shad community, Lynn Bicknell. He had an amazingly happy year with her proving that you are never too old to find love. He loved living at the Pad-sitting on the porch looking at the pond and talking with Lynn, playing bridge, watching movies and entertaining everyone at meal time. Unfortunately, a combination of the flu and his chronic Myasythenia Gravis took his life. He leaves son Erik and wife Kathleen, daughter Becky and husband David, son Andrew and wife Kris, 4 grandchildren-Jessica and Robert Lanzer, Hannah and Justin Orders as well as countless memories. We will miss "The Big Guy"!